Sometimes you want to just get away from the city life and lose yourself in a trance. Walk with no destination in mind and chance upon a hidden village. Sit in surroundings so beautiful that you lose yourself and end up watching the sun rise and set from the same spot. Drink from fresh water streams and party with the people from some untouched villages in their style. 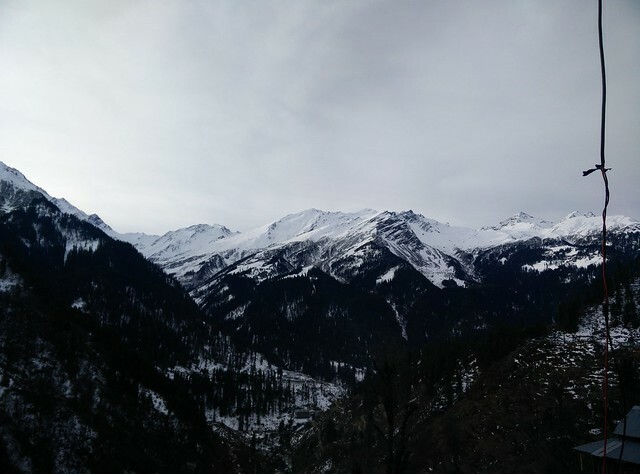 Driven by these thoughts, we chanced upon Kasol while going through another blog for the wanderers. Little could we control ourselves, and in a jiffy, 11 of us just packed whatever we could find and headed towards this beautiful and magnificent Parvati Valley (in Himachal Pradesh) in a bid to explore Kasol and the nearby towns. There are ample buses available from ‘Majnu ka Tila‘ which, in moderate traffic, is 30 minutes away from Kashmere gate (nearest metro station). That’s likely to cost you INR 60-70 in Auto fare. The buses from Majnu ka Tila ply from 4 PM to 9 PM in the evening. These buses go straight to Kullu-Manali. Very comfortable AC and Private Volvo busses are also available. Off-season rates were INR 600 per seat. If you are heading to Kasol, remind the conductor to drop you off at Bhuntar and stay up to make sure you don’t miss your stop. We took the 6:30 PM bus from Majnu ka Tila and the bus halted twice on the way. A long stop for dinner somewhere in Punjab and another one at Mandi for late night tea. Our bus reached Bhuntar around 6:45 AM. The bus dropped us off right outside the local bus stand. There is only one ATM in Kasol which is out of cash or dysfunctional many times. There are 2-3 ATMs in Bhuntar, so if you don’t have enough cash for the trip already now is the time to withdraw. If you miss it by chance, you can get cash by swiping your card at the Currency Exchange Booth in Kasol by paying 5% surcharge. The local bus for Kasol leaves after 7 AM. While we were waiting we decided to withdraw some cash from the ATM and add more layers of woollens since it was freezing outside. Bhuntar onwards you will be travelling in local busses only so equip yourself with enough layers of woollens, socks, cap and gloves. For, if you are doing an off season trip too, you will need all these and more. We saw a small chai and Maggi shop at the local bus stand and had our first meal in the mountains. Once you have boarded the bus, it’s a good idea to sit on the left to be able to see the valley properly. Bus ticket – INR 45/seat, Taxi also available for INR 900 (accommodates 6). The bus takes another two hours to reach Kasol and this bus ride gives you your first view of the valley. The chill in the breeze, the sharp turns of the road and the beautiful sight of the river and the snow capped mountains tell you what you are in store for the next few days. We reached Kasol at 9:30 AM and right where the bus dropped us a beautiful mountain dog greeted us and led us to Cafe Rainbow. 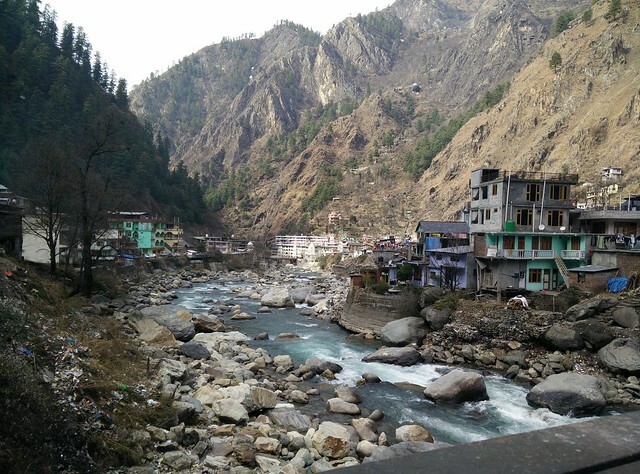 It was a homestay with an apt location, right next to the bus stand, the river flowed behind and it was the starting point for treks like Rashol and Manikaran. While we stayed at Cafe Rainbow there are lots of other comfortable guest houses, hotels and homestay options also available. Also, if you have forgotten your trekking gear, shoes, backpack or woollens you can get all these things from Kasol. Options for both rent and purchase are available. That’s a hand sketched map of Parvati Valley we found in one of the cafes in Kasol. Turned out to be quite useful. After accepting the traditional welcome of Kasol (if you know what i mean 😉) , hogging on countless numbers of gobhi cheese parathas and bread omelette, and putting on yet another layer of woollens we left for Barshani. Barshani is the base for treks like Kheerganga, Kalga, Pulga and the base from where you can either walk the road or take a taxi to Tosh. It took us 90 minutes to reach there and we found out that it was not possible to go for kheerganga trek due to heavy snow. Hence, we explored Kalga, pulga for couple of hours, walking in the snow with mountain dogs, following trails left by locals and then took the taxi to Tosh which cost us INR 50 per seat. 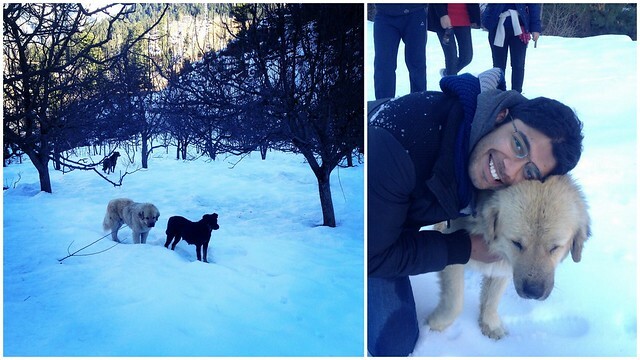 Few adorable mountain dogs came along with us as we explored the trails around Barshani. On the right, Satyen with brownie who trekked all the way with us. Tosh was another story altogether. To reach the village we had to cross a stream and walk into the snow clad wonderland of India. A small village, with just 150 – 200 houses but the view from the place was breathtaking. Since we went in off-season we didn’t find many tourists but there were a lot of homestay options available. We checked out several options and decided to stay in Sunrise Guesthouse where we paid INR 100/Person/night for a group of 11 people. The attendant there, Rahul, was very helpful and an amazing cook. He served us with some amazing pizzas, pancakes, paranthas and coffee. 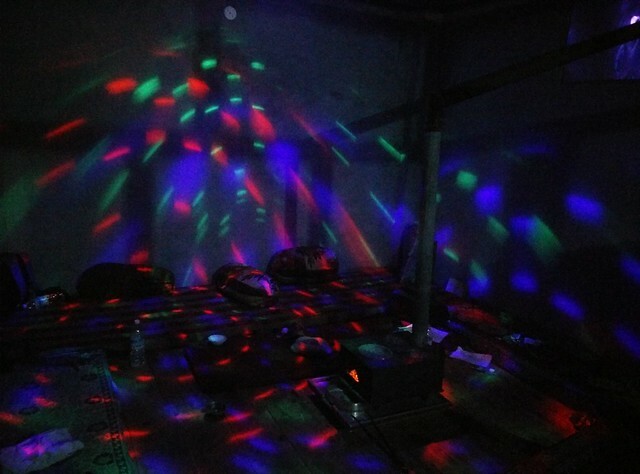 And later that night he hooked speakers and disco lights for us in a quiet village and we partied under the stars well into the wee hours of the night. Pinki Guest House – It was one of the other options, but we decided to stay at Sunrise Guesthouse instead. Next day, we left early morning for Barshani from where we took the bus to Manikaran to head to the Gurudwara. There are some beautiful Shiv temples here, natural hot springs and baths made for both men and women where one can take the holy dip. Of course the main attraction is the Gurudwara, and we decided to have lunch in the langar. 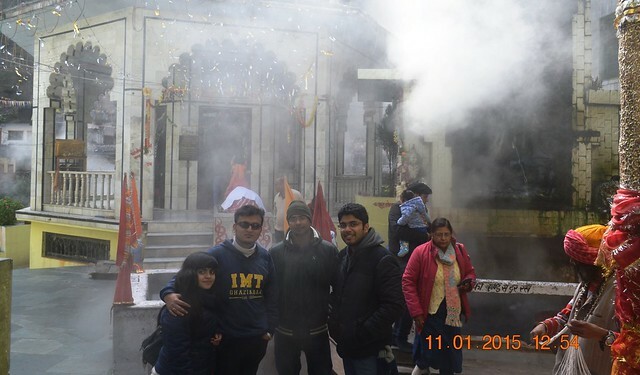 That’s Priyam, Rupayan, Sayak, Satyen (L to R) at Shiva Temple in Manikaran. Even in January’s cold the steam and heat from the hot springs made it difficult to walk bare feet here. We decided to walk back to Kasol that day and walked across the river from the road into the forest and mountains. This trail was extremely beautiful, right by the side of the river, and in the middle of lush green trees and flower beds. We walked down to the river after a while and spent sometime there and then headed back to the room around 6:30 PM. Took a break while on the trek and went to the riverside. In the frame (L to R) – Rupayan lying on the rock, Akanksha, Akshay, Charu, Priyam and Priyanka captured by Sayak. If you walk from Kasol towards Manikaran, you will see the board of Jim Morrison café on the right. It’s a cozy place built around 800m up trek. This place had a sigri, amazing ambience, great music and 5 cutest puppies. We stayed there until 10 PM and the walk back to our rooms was like a night trek in the wild. Jim Morrison Cafe as captured by Akshay Maggu. An awesome place to spend time in the evening. Next day in the morning we took the roadways bus to Jari which was around 30 – 45 minutes away. From there we took a taxi for Malana, the lesser known village of arguably the Greek descendants. The ride is around an hour long and where the jeep drops you off it’s another 2 hours of long trek to the village. This trek is slightly steep, and was slippery because of the snow but the surroundings just made it worthwhile. Once you reach the village nestled in the middle of mountains you are greeted with the rules of the land. No outsider is supposed to touch the residents or the houses or enter any of the houses. In case one does that, he has to pay a fine of INR 25,000 and the locals are quite serious about this. But this doesn’t mean they are not friendly. There are a couple of guest houses located beyond the village and one right at the beginning. And if you fancy some tea, maggi or paranthas you can find some tasty treats in the village itself. They won’t be handed to you but just put on a chair where you can pick it from, you know because of the no contact thing, but this is an experience in itself. We started our trek back late afternoon, back to the car and the the driver dropped us back to Bhuntar directly, just in time for our evening bus. We headed back for Delhi at around 8:30 PM and by 6:30 AM we were back to the hustle bustle of the city. Priyanka getting some drinking water, mountain style! We did this trip in January 2015 and the total cost of the trip was approx. INR 3000 per person for 3 days including travel, stay and food. You can cover all the spots as described here if you leave on a Thursday evening and plan to reach back by Monday morning. Credits: Thanks Priyanka Agarwal for making this trip happen. And Akshay Maggu and Rupayan Banerjee for these brilliant photos I could use. Have uploaded most of their pictures in this flickr album to give you a thorough idea of how a trip to Parvati Valley may be like. Planning a trip to Parvati Valley? For your convenience, we have embedded some useful contact details in QR codes above. Just point your mobile’s camera (after opening a QR code scanner) at the code to save the details. Most mobiles have this application built in. In an attempt to make the planning process easier for you, we have made a super-handy cheat sheet which you can use as a PDF reference or take a printout for your journey. Download it here. Since we were in a large group, it costed us approx. INR 3000 per person for 3 days including travel, stay and food. so ur trip lasts to hw many days?? Should we chuck 1 day stay in kasol in favour of malana if its worth it since tosh might be similar to kasol but my only concern was malana being completely opposite to barsaini and i would prefer not to have a hectic/ too much travelling kind of thing. Also how long is the trek/walk from tosh to kalga-pulga..
Hey ! So if there are tourists in Kasol at this time it shouldn’t be a problem to strike conversations. Everyone there is usually in a very relaxed state of mind (if you know what i mean) and well, you will just click with your kind of people so please don’t put any extra effort or thought into this. Kasol and tosh are very different as kasol is something closer to a small town where as tosh is a small village nestled in the mountains. But there are more chances of finding people and socializing in kasol as there are a lot of cafes and places to hangout there. Kalga – Phulga treks start from Barshaney, not from Tosh, But please check before leaving if the way is open as it might be closed due to the rains. From Barshaney tosh is half hour away by car and you wil get a shared taxi easily there. Further ahead from tosh there is a trek to a water fall which should take around an hour if you are interested. 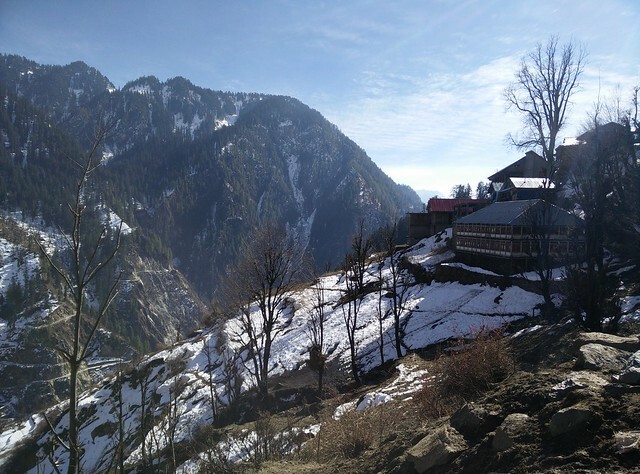 Malana is again very different from either of these two places and it will take you around 2 hours by bus and then taxi to reach the starting point of Malana from Kasol. From there it is a trek of 1.5-2 hours to reach Malana. Like i said, this places is an even smaller village, fewer chances of finding tourists here but it’s a different experience all together. All the best for your trip. Your post is very useful. I will be leaving for a similar trip in mid May, just wanted to know if may is the right time to explore parvati valley. Also to mention i would be taking this trip solo. hi…it was a great write up 🙂 I just have few queries about the place as I am travelling to kasol next week with my 3 year old daughter. 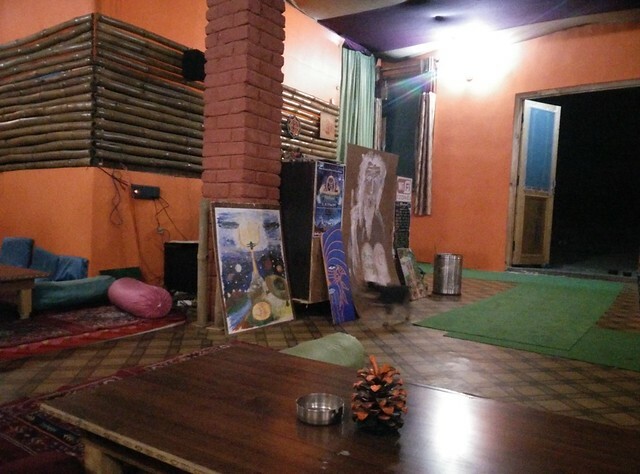 Was rainbow guest house was clean….everyone is saying that guest houses and homestays in kasol donot clean bedsheets etc. Also, what is the approximate tariff? Like we told you before, since you are travelling with a kid, It wouldn’t be a harm to carry a couple of clean bed sheets and bed cover. The blankets wouldn’t be exactly very clean too so maybe you can use your sheet inside to prevent any kind of direct contact. The tariff varies season to season. In January it was somewhere around INR 600 per room but it will be at least double of that. Hope you found the PDF file just as useful too. Share your experiences and the information that we missed out. The contact details for Tosh are already shared on the blog. Both the places were nice and you could choose either for accommodation. You should have stayed longer to write a blog (info). I agree. Though this is just for weekend travellers and not an insight on the place so much. Though your thought taken into account, If you would like to give us more information that we have missed am sure it will be helpful for us all. Please den me PDF file on omkarvelia@gmail.com. We are planin to road trip from Mumbai to kasol an so on.. It would be very helpful if u’ll provide us with all the details. As last also we went ther but it was with total comfort but this time it’s on our own so please we do require expertise advice..
Hope to get rply ASAP ..
We have sent the pdf file to you. Hope it comes in handy during your trip. Please ask away if there are any other queries and we would be happy to be of any help. We ( me and my 3 friends) are planning to go to – Katagla/Kasol/Rashol/Tosh/Kheerganga/Choch in MAY. If you could help me to decide the estimate amount that would cost us (Including things which help us unwind – I am sure you know what I mean). Also I envy what you are doing 🙂 Its a small world, hope to see you someday. Thank you 🙂 So May is a busy time for this area and the rents and pvt bus fares usually go up.Keep a couple of grand aside just to unwind. As for the rest, it depends a lot on what transportation and lodging you choose, so once you decide that we could get a fair estimate. But from Delhi to the valley and back should not come to anything more than 6-8 grand. Hope you guys have a good time on this one. I am planning a trip this January and this is the best blog I ever came across. 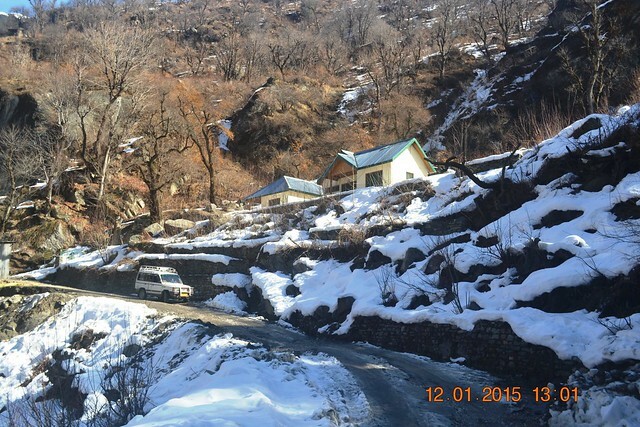 Will Kasol be snow filled during early or late January?? 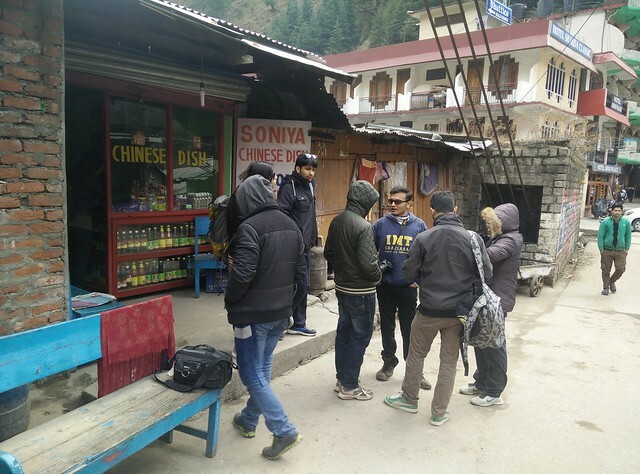 You guys stayed at tosh , so did you rent a 3 day room at Kasol and took a night off at tosh in between ??? This is my dream trip. Got lots of queries . so pls reply to my mail id. Hey !!! Thank you for the appreciation. We went to kasol around 15th and there wasn’t much snow in kasol but kalga phulga barshaney tosh and malana were all coverd in snow. We took the room in kasol for three nights and spent one night out of them in tosh. When we trekked to tosh we left most of our stuff back in kasol. But if you are travelling light you could just check out when going to tosh and check back in the next night. Feel free to write for more queries and hope you have a brilliant trip. 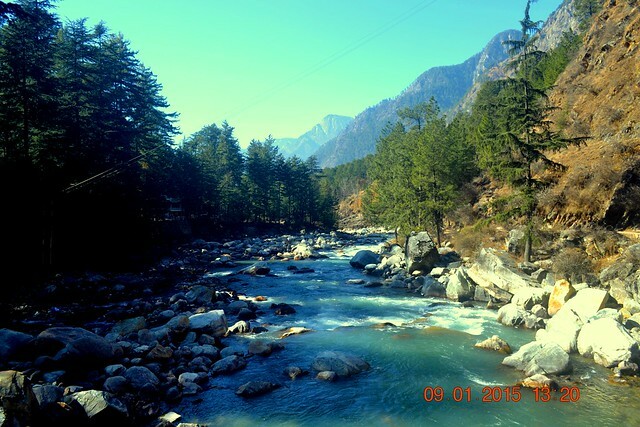 Is kasol a good destination for solo travelers ? So I went to Parvati Valley with friends but it is definitely a trip tat can be enjoyed very well solo too. There are enough mountains, treks and river to keep you busy. And even if you are a social person the locals here are very inviting, not to mention the fellow travelers. Hi, one of the best blog I came across while surfing for this place! I am planning to visit any of the places mentioned in your itinerary. Earlier I was planning to stay in Kasol but after going through your post I don’t want to miss staying in Rasol or Kalga/Pulga. Also can you please mail me the pdf file at arpit.kathuria@hotmail.com as soon as possible as I’ve to be there on 13th of this month..
so if it’s the night sky you are after, You should definitely spend more nights in smaller villages like tosh and Malana. I am not very sure of which place will be better exactly as I don’t have much understanding of astro photography but in our trip it was the night sky at Tosh that mesmerized us the most. It was full of beautiful bright stars and snow capped mountains surrounded the village. Stay in most of the places shouldn’t be very expensive but Tosh was def the cheapest for us. You could contact rahul, whose number I have mentioned in the blog. We shall also share s copy of PDF file with you. Hope you have a great trip, and do remember to share your experiences. Really nice writing, we are also planning a trip to Rasol. It would be great help if you can share the PDF with me at Kartik.chawla8@gmail.com . I was planning to do a solo trip to Kasol and being my first time I was only excited at the same time completely clueless apart from the basic google’d knowledge untill I bumped into your blog! Nicely done yaa! Now there is a clarity and I am up for it. I wanna go to Malana for obvious reasons then wanderlust. So should I get down at Malana first ? Score stay overnight then go to Kasol and ahead OR go to Kasol first settle down then do day trip to Malana? Once I score I am planning to explore whatever I can maybe Chalal, Manikaran, Rasol, Tosh. Really glad that the blog could help. So you will reach bhuntar next day early morning and to go to malana, you will have to either take a bus to jari and a taxi from there or you could take a direct taxi to malana. Either ways, there will be 2 hour medium difficulty level trek involved in getting to Malana so you might not want to do it right after the night journey. A more relaxed itinerary would be to head to kasol first, buy some, chill some and do the smaller treks like Manikaran or Chalal, if at all, that day. If you plan to trek more then you could take the chalal route, stop at rashol (stay overnight) and then trek all the way to malana from there. 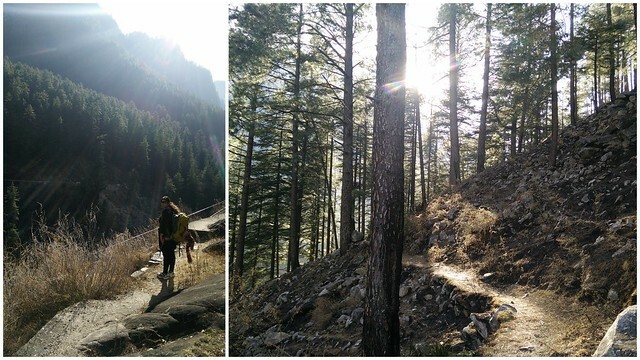 If you want a slightly more relaxed trip, just explore kasol the first day. Next day you could head to tosh and stay there overnight. the day after, cover manikaran if you like or just head back to kasol and do chalal. stay in kasol over night. and lastly, head to jari and take a cab to malana and do that trek. stay there overnight if you have time. from there trek back and head to bhuntar. The other places to cover like Kalkga, Phulga, Kheerganga will be shut because of snow at this time of the year I presume. In terms of greenery, Malana is of course the most blessed followed by Tosh and then Kasol. So minimum purchase from kasol and maximum from Malana. But the rates are also in the same order, so you can take the call accordingly. We shall send you the pdf version of the post to help you with contact numbers and the map for treks. Hope you have a great time and do remember to share your experience. Thank you so much Akanksha. Guys sry to bother but I am not able to find Itinerary in my inbox. If ya’ll can take out some time and please send it again or something. After reading this post am very much more exicted to start the trip. Glad you found the blog useful. Hope you have a great trip and do remember to share your experience. Can you please send me the pdf to my email anish.gera@gmail.com. Could you also send pdf to venimittal@gmail.com. Nice Post and amazing write up! I am visiting Kasol with couple of other friends. I want to know if it is possible to cover kalga pugla trails and tosh by starting at 11 in the morning and return before 8-9 pm? So it is possible to cover Kalga Phulga and Tosh in a day and return by 9 but it will be very rushed. You will have to take a bus from kasol to barshaney, trek to kalga phulga, then come back to barshaney, take a taxi to tosh, taxi back to Barshaney and then a bus back to kasol. Feel free to write to us for any more queries. Thanks Akansha for your reply. But unfortumately we only have one datvat kasol. The next afternoon we are leaving for manali. My friends are comibg from pune and bhubaneswar and have very less time. As of now our iternary is reaching Kasol on 31st morning 9am and our checkout time is 12 noon. On 1st we have our hotel booked at Manali. And i have been to Kasol before, according to my understanding There is not so much to explore at Kasol for more than 24 hoyrs. So atleast could you please suggest if its wise to visit only kalga phulga or tosh? We can make it to one place comfortably? Please suggest. Thanks in advance ! hey! we are planning to go in starting of February,So what about the resources and the tourists like will we get eveything to stay there? So Feb is off season for Kasol as it still very cold and a lot of treks like Kheer ganga will still be closed. So you might not find a lot of tourists and a couple of restaurants might be shut then, but you will definitely be able to find a place to stay in very easily. In fact the prices will be much lesser in off season, in case you are a budget traveller and looking for discounted rates, it’s a great time for Kasol. Snow, less people, less expenses, and snow covered mountains. That’s the season we chose . Please feel free to write for any more queries. Hi, i liked the blog it has useful information. i am a amateur and would like to explore Kasol and places nearby. Being women m also concern about safety as i mite travel alone. I would like to join group of people for visiting few places. It will be my first trip to Himachal. I would be having good 10-12 days to visit would like to explore the maximum but stress-free. Have to idea whereto start from. I am from Mumbai. Generally travel with group of friends. This time would like to do Solo-Backpacking. Would like to stay with the locals make new friends. Also wanted to know visiting the cafe’s in Kasol during night would be safe or shall i stay indoor. I was planning to visit starting of march. I will be on tight budget would prefer traveling using budget transportation. So the place is more or less safe for women, and you could totally back pack alone in this region. At night, I wouldn’t suggest you to go for any treks, make sure you get back to Kasol by 6 ish and then there are a couple of cafe’s in the middle of the village. You could go to eat there if you like, should not be an issue. Again, I probably should not be commenting on this as I went with a large group to this destination, but this was my observation on that trip that unless you bother someone, people aren’t bothered enough to trouble you. Also Rohini, Since you are planning something for March, I might be able to hook you up with a couple of travellers just to make the whole situation a little more safe and a lot more exciting. Please write to me on akanksha.g.sharma@gmail.com once you finalise your dates and other details and we might be able to work something out. You could also reach me on 8826454643. Hopefully, we will have a group from travellers appetite travelling to parvati valley that time and you could join in. Let me know if you are interested or you know any folks travelling to Kasol and around during the same time. Amazing work folks. I appreciate the time that u folks are putting in to make travel experience more wonderful and safe. Any idea how to reach this place from Bangalore?? As suggested in the post, the best month to visit the place is from March to June, so I am planning to visit somewhere in the month of May or June. Could you please provide me with more details. Do let me know if there are other travelers who are planning to visit this place during May or June. Thanks in advance. So the best way to reach Kasol is to take a bus enroute Manali and get a drop off at Bhuntar to switch to a local bus that takes you to Kasol. Depending on Airfares and convenience, You could take this bus from Chandigarh, Shimla or Manali. 3) Delhi – Kasol , Many buses (volvo) which depart from delhi at night and reach Bhuntar early morning, take a local bus to kasol from there. Approx time to reach Kasol will be 12-13 hours, and the flight will cost you somewhere between 3.5 – 8 depending on the charges then. This is by far the cheapest option. As far as other travellers, We were in the mood to do this trip again and it seems like a lot of readers would like to plan this trip so soon we will be rolling out a form and lets see if we can get some people to agree on similar dates and plan to travel together. Please keep watching this space for more news on this and you could also connect with me on akanksha.g.sharma@gmail.com for more discussion over this. anyhow, Let us know if you need any other information. And hope you have a great trip. I am visiting kasol on 6th May , I read your blog . I hope it would be quite helpful. 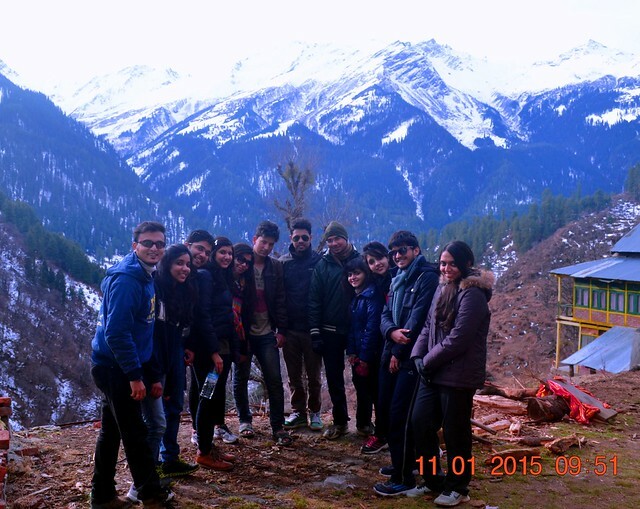 Hey it’s a great write up with all the information one would need regarding kasol. 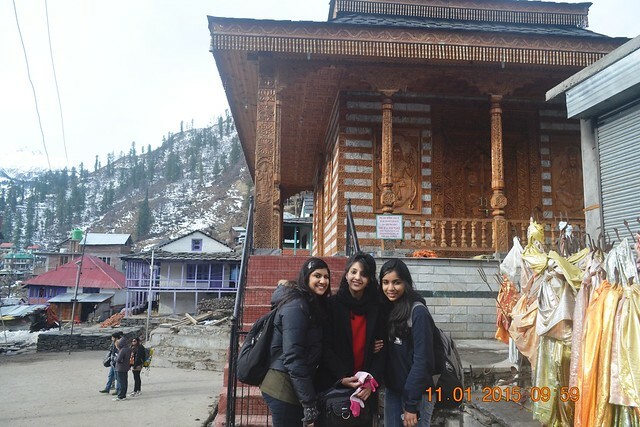 We a group of 4 girls have planned a trip to kasol during feb. Really thankful to you for sharing great info and pics. Hope you have a great trip. Please do share your experience. Also, please let me know if we need to book any hotel/guest house in Kasol beforehand or it will be available at nominal rates on the spot? Please suggest what wud b best for us. Sorry to chip in. But online portals like goibibo offer huge discounts like flat 60% off. Based upon the ratings and reviews you could book a hotel of your choice. There would be images of the hotel room and amenities. There are even location maps, so you can chose accordingly. So being an avid traveller I would suggest booking a hotel before time to avoid additional time on searching for one. Thanks 🙂 Glad we could help. Will share the pdf with you via mail. As per getting a place, since this is off season you can easily find anything there even if you don’t book something before hand. But then again, Like shashi suggested, you could book something on line and you would be more prepared that way. So, the options are open ,it’s really more upto you. Hey could you email the pdf version please . I am planning to do a solo trip around second week of February. And yeah if anyone would like to tag along you are most welcome . I have been living in parvati for some time now and its surely a nice place to live.. This is Milind. I really appreciate what you guys did. I hope you had fun exploring the ‘less explored’. I’ll be leaving for kasol on the 28th of February and I have around 5 days in hand. What concerns me is that I’ll be travelling solo. Are the treks safe? 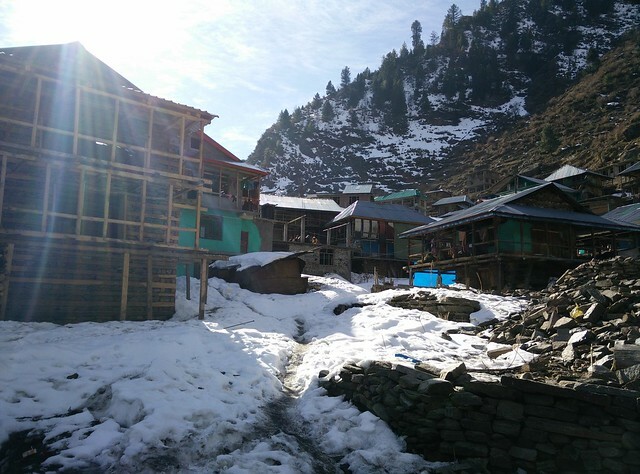 Considering villages like malana will be covered in snow during this period. As I’ll be travelling solo, anyone who wants to tag along can ping me at kudapamilindchowdary@gmail.com. Also, it would be appreciated if you mail me the pdf to the above mentioned email address. Have sent you the PDF. Hope that helps. Could you please mail me the pdf document ? I accidentally landed on this page while exploring kheerganga for holi long weekend trip and I can surely say that out of all the posts I have read ; and that trust me that means a lot of tripoto posts , your post is very nice and especially because you guys embedded that QR code feature .Loved it !This post has helped me to be a little more prepared for my solo trip to kheerganga trek; provided snow allows it !! keep travelling guys and keep writing ! Hope you have a great trip and do share your experience one you get back. If anyone is making plans around the same dates, please get in touch. I am from Bombay, Chemical engineer, with 2 years of work ex and now trying to get into a b-school. Hope you have found the right companions for your trip or braving with a solo one. Hope you have a great trip and do share your experience once you get back. This is a great article. Are 2 days enough to do Kasol? Also are there any other hotels that you would suggest besides Cafe Rainbow? Kasol is a place to relax, explore, go hiking or just chill. So with Kasol , It’s up to you how long you would want to stay there. There is nothing to cover as such so 2 days are ok I guess, if you don’t want to travel to the near by places. Apart from cafe rainbow there are a couple of other hotels too. There is a proper hotel, not a guest house, quite near to cafe rainbow if you walk ahead on the main road to manikaran, have forgotten the name though. But don’t worry, since it’s season time, accommodation wise you will be sorted. Would recommend Panchali Holiday Homes at Kasol. Had stayed there twice. Wonderful experience and helpful staff. At the centre of Kasol. Thank you very much Akanksha. Your post was detailed and informative. This is what i am searching for the last one month on the net. Thank thank you very much. Your other posts are also interesting, i thought of making my year calander now with the information you provided across all your posts. Thanks for the appreciation. Glad could be of help. Do share your experiences when you get back. Loved your article. 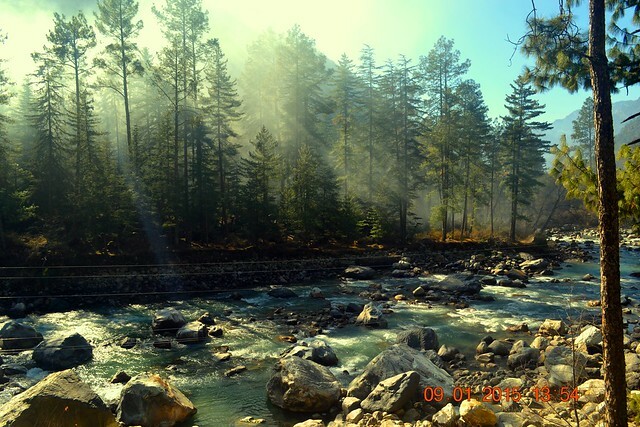 one of the best article written on Kasol and surroundings. I am planning to go in the first week of May, but we just two girls. Will it safe for us? Would it be boring since we are two and should we book hotels from before or go without bookings? Yes, you don’t need to worry too much about safety , just take the usual , not staying out too late and especially while trekking rules. May is season time, so it’s better if you book before hand, just to be safe. Sure, Will mail you the pdf for the same. It was an informative blog especially the road map pic of kasol 🙂 . Me & my friends are planning from 15th-20th may. Will it be off season ??. Is it better to go for homestays or hotels ?? Can u please provide me with this article pdf. May will be season time, lots of people travel during summers there. Hotel and homestays is your choice, whichever kind of experience you are looking fore there. But in places like tosh and malana guest house and home stays are the only option. Sure, will share the pdf with you. Can you please email me with PDF on ritesh.rangle@gmail.com. Sure, Will send you the same. Hello Akanksha, what a lovely write up with such marvellous pictures to attract us travellers. Great Job done on this page and good that you are still replying and this is not a dead web page!! Thank You for sorting out a lot of confusions. 🙂 We are a group of 6 people including female travellers planning to visit Himachal from 2nd May till 11th May. It would be of great help if you could let me know of the places to stay along with the approximate tariff that we will come across as you have mentioned of the time you went which was off season but now i guess the season is on. Tosh Malana Rasol kasol kheerganga mcleod triund are the places we are planning to visit on this 10day trip. My email id is rahul.d15912002@gmail.com . Kindly let me know if all the palces can be covered in 10days and how much budget should we consider per person. Since a few friends would be travelling with their girlfriends it would be nice if you could suggest places both having some privacy and decent hygiene maintained. We are looking out for homestays or cheap rooms(double occupancy) mainly in the interiors away from the world away from the crowd. Thanks 🙂 Glad that you liked the page. So for stay options, though I can not help you with the exact tariff details as of now but since most of these places offer home stay only the rent is well within the pocket. The options I have mentioned are all home stays/ guest houses only and are well managed. There were no hygiene issues and attached washrooms were present in all the places. As for privacy, well, get a room 🙂 Literally. We were all friends and wanted to bunk together, but you can get double occupancy rooms in all the places here. The whole valley , my friend, is in the interiors and far away from the world, but from what I understand of your expectations from the trip, TOSH is your place. Definitely make time to stay there atleast for a night. Also, all the places you mentioned are in the vicinity of each other barring Mcleod and triund. but 10 days should be good enough to cover all these places. Hi there.. We r 4 guys planning a trip to Kasol in mid July.. Is it an apt season?? I understand that the usual tourist season gets over by May end. I don’t mind not being in the rush. Just wanted to know if it rains too heavily during that season and whether most of these places nearby would be accessible. You could visit the place in July but trekking might get difficult because of the rains. If trekking is in your agenda then it’s better to either visit in may or go after mid September. Thanks for the info..Appreciate it..
Glad that we could help. we are so confused with organizing this trip as none of us have any idea about himachal therefore we would be very grateful if you could help us with the following. we are travelling from delhi to kasol/tosh on 28th may to 01 june, we have planned to hire a car from delhi to kasol and stay one night at the himalayan village then head up to tosh. * is it better to stay first at kasol and then go to tosh or go straight to tosh and then on the way back stay at kasol ? * also whats the best way to go to kheerganga from tosh? Thanks in advance for you reply. Is there a reason you guys want to drive to kasol? Because there are a lot of volvo buses that ply in the night and you will reach kasol / tosh in the morning. This a a hilly region and driving here will be quite a task. Also, driving in day time will be safe but you will lose one entire day in that case. Better would be if you take the bus, reach kasol early morning. Could head to Tosh directly that day. Stay overnight. Next day come to barshaney and trek up to kheerganga from there. stay over night. next day , trek back , take bus from barshaney to Kasol. Stay overnight . next day you can head to Bhuntar and can catch a volvo in the evening (Can even sqeeze in malana trek if you start early morning) and reach delhi early morning. Hi Akanksha that was an amazing read. Those contact numbers and names are very reassuring. So is the cheat sheet. I’m a first time traveller to Himachal. I will be staying in Parvati valley from May 26 to 31st. For the Parvati peaking festival. I am planning to check out and visit Malana, Challal, Tosh, Manikran and other interesting places from June 1st to 3rd. I plan to stay in Manali on the 4th as I have to take 6 pm bus to Delhi that day. Please guide me how I should go about. I would like to stay in these places, at least some of them, for a night. Or should I keep base at kasol, hire a cab to visit these places and return to kasol? I may be travelling alone from 31st May to 4th June. It’s an adventure trip I’ve decided. Hi Prema. Akanksha is travelling right now and may not be able to check this blog comment. You may contact her on her whatsapp 8826454643. Hi that’s cool.Really nice of you to pass on the number. I’m okay with messages. just that I didnt want to disturb her while shes travelling. Will whatsapp her. The rains might make it a little difficult to trek around but if you are planning a more relaxed trip then the rains might make the whole picture prettier. Excellent read Aakangsha.. I am planning to visit Himachal .. Your blog was quite a help.. Keep posting.. Great…. Glad that you found the blog helpful ! I’m panning a solo backpack to the magical Parvati valley for a weeks time in June(probably 4th week), flexible with my dates. Looking for some like-minded souls to chill out with a sense of adventure to travel with. I am relaxed and an easy going person and would really like an open minded buddy to travel with. Following is the current itinerary – Mumbai – Delhi – Solang valley(Manali) – Malana – Rasol – Kasol(via Chalal) – Manikaran – Barshani – Kalga – Pulga – Tulga – Tosh – Kheerganga – Delhi – Mumbai. Hey Rakesh I’ve just returned from there after a 11 day trip. I think you have too many places to visit for one week. Is this your first trip to himachal. It was my first trip. Have fun. Is there any person or shop from whom/where we can hire tents for 3-4 days? Yes, Tents can be hired in Sari Village before the hike for the lake begins. Please get in touch with the numbers posted on the blog for the same. Iam planning for manali,kasol,malana and tosh with 3 friends in first week of july,can u suggest some riverside hotels/guest houses in kasol malana tosh,also with parking facility as we are travelling by own car,or some offbeat hotels,also plzz tell about where to park vehicle before starting trekk for malana nd tosh,total hours to reach both places,where to eat,is it worthy to spend night in tosh/malana or we should better come back to kasol for nightstay.. So in Kasol, the guest house that is listed on the post had parking facility, and it is right next to the river. To reach Tosh there is not much of a trek involved. Cars can go right upto the village and all you need to do is cross over the river to the village. You can park there itself, right outside the village. For Malana, you will have to park across the river again and there are a couple of Tapri’s near which you can park and pay them a little money to tkae care of your car. Tosh, definitely spend the night. Much less crowd than in Kasol, and you’re literally in the middle of the mountains. Malana too, I feel you should stay for the night but there aren’t too many guest houses up there so keep the option of coming back down open. It was really great reading your travel experience. I just wanted to know if you can reach these places by a bike. Actually me and my friends were planning a bike trip to the mountains and obviously we don’t know much about the scene here at Kasol and Parvati Valley. So it would be very kind of you if you can brief a bit. So people do bike up to Kasol and further, roads are fine but then again if you aren’t used to riding up to the mountains I wouldn’t really recommend it as the distances are a little too much. You could rent a bike at Bhuntar and do the rest of the trip on a bike, that way you get to bike on the beautiful mountain roads without having to go through the pain of driving 14 – 16 hours to reach there. Thanks for such an informative blog. We are planning a trip in 1st week of sep, just wanted to know which are the best options for trekking among tosh, malana, kheerganga, khaul galu pass and which is the best camping site. Also, as a beginner trekker how further can we go after kheer ganga and is it worth going further after kheerganga. And do tell me if I miss any must visit spot near kasol. we are planning a 5 day trip. Sorry for the late reply, we had all been travelling but thankfully back in time to chip in our idea for your trip. So kheerganga is one of the most sought after treks in this region and most people walk up to the peak and camp / take a guest house there. Further up from Kheerganga, there is a lake called Mantali. It’s a 6 day trek up and you need to carry tents, utensils and your own cook to carry out this one. But since you have only 5 days for this trip, I suggest you cover Kheerganga , Tosh and Malana, could also cover Manikaran. 5 Days are perfect to cover these four places and will give you the essence of Parvati Valley. There is another trek up to a place called Chalal, could cover that If you have time. Starts from Kasol. And well, must visit spot near Kasol, the walk from Manikarn to kasol is beautiful and alongside the river, should def take out a couple of hours to spend some time at one of the spots on this route. Disclaimer – A lot has been written about the Parvati valley and its pristine beauty. This post is not about any of that, this is only about the itinerary that we group of friends had when we visited the place. It is extremely difficult to capture in words the serenity, the peace and the calmness of nature we experienced. The trip was the best one I have had in some time now, as you are literally in the lap of the nature amidst the mountains and the river giving you company all along. Hope this post helps you plan your itinerary for your next trip. •	Reached Bhuntar at approx. 7am in the morning. •	Checked in to hotel Chandra along the river, our room had a balcony that opened up to the river. It was an amazing sight. •	The sound of the river flowing alongside really had a calming effect from the insistently noisy city hotels. 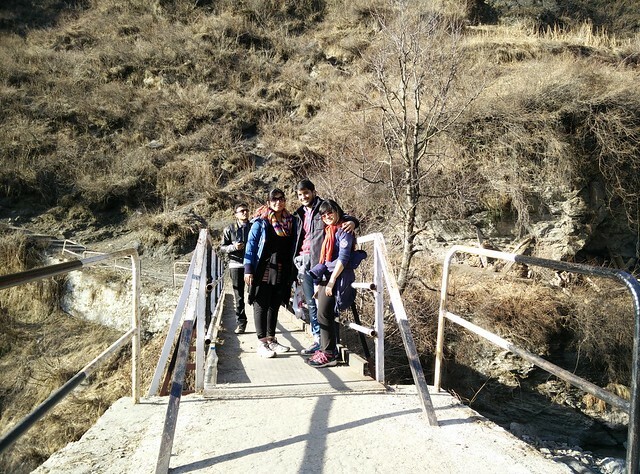 •	Reaching the kheerganga peak we felt a sense of accomplishment and happiness. •	And to rid ourselves of the tiredness and the sins  we went to one of the hot water springs. •	Our initial plan was to stay one more day. •	From the foothill of Tosh we started our trek upwards; well it’s more of a man made structure that you have to trek on. •	We checked into one of the hotels right next to the Pink Floyd hotel, (Shivas Café I think it was called). •	We started the trek from malana foothills, took about 2 – 3 hours. This trek is not as gruelling as Kheerganga but it is moderately difficult too. •	Spent the last day of our journey at Kasol, visited the famous eateries like the Jim Morrison café, Evergreen café, German bakery, did a bit of shopping, bit of sightseeing. Also a big thanks to Travellers Appetite for sharing valuable insight through their website. Helped us plan better. And glad we could be of help. I need to know the timing of last bus from Bhuntar towards(Bharseini) Tosh in the month of december. And is it possible to reach Tosh at night coz maybe we will reach Kasol by 7pm. On your blogs you have mentioned Pinky’s Guest House apart from Sunrise Cafe where you guyz have stayed, so do you have any contact infos of Pinky’s Guest house? So the bus from Bhuntar will be in the morning 6:30 – 7:00 ish and on till evening. No busses will ply in the night. For Tosh , you need to take a direct bus from Kasol, need not go to Bhuntar for the same. Busses ply every hour in the day from Kasol Bus stand to Barshaney and it is just a 60 minute drive max. We only have the contact details for Rahul from Sunrise, Pinky guest house and other places are located in the vicinity only. You can easily reach there and book something for yourself. Have a great trip ! Obviously your infos are very helpful but u know i have a lot of questions in mind & one of them is, is it safe to trek Kheerganga in December last week ?? After reading nice reviews about Sunrise cafe I called them & had a word with Rahul(owner) & for december 27th,28th & 29th they will be charging us Rs1000/room… & what?if we reach Tosh at 10pm..
For your questions, Kheerganga trek in December might not be open in case it has snowed. The final condition of the trek you will be able to decipher only couple of days before the trek. 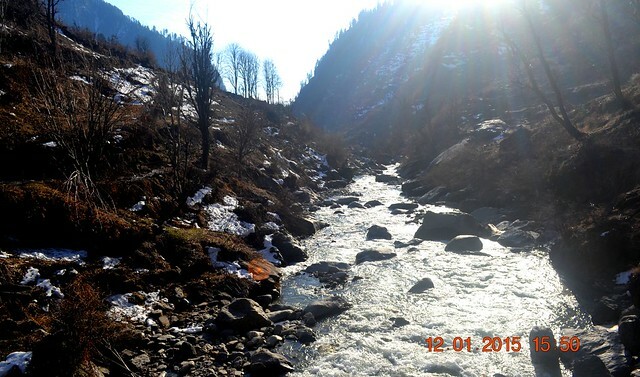 Though Kasol and tosh will be beautiful in December so you don’t need to base your trip on the situation of the trek. As for the tariff , those are the busy days so the cost will be slightly high. You should def book your rooms for then. Tosh you should try to reach by 5 pm, if you reach late keep the next day for Tosh and leave late evening. Travelling solo from Delhi ,please feel to join in . 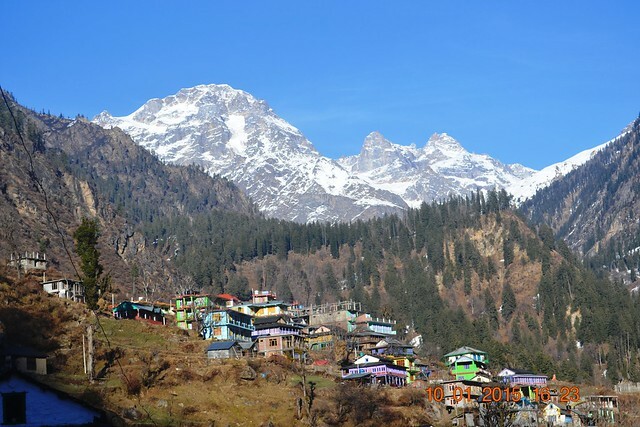 Planning to visit kasol in the month of October…. Do you think I’ll need to pre book rooms and camping treks or…do you think it’s a better if I went there checked them out and then make a decision?? And whom do I contact if I want to enquire about treks and all?? Treks need not be booked, in fact you can easily figure your own ways there with the help of a map and locals if you are game. If not, you can easily find people there (at hotel / guest house / in the market) who will be happy to assist you on the treks. As for hotels / guest houses , they are all very basic in nature. If you are going on a long weekend I suggest you book in advance as there are not many places there. otherwise you can easily go there and take a call. Hi akanskha, we planning to visit kasol for new years, would it be a good idea. The valley is full of parties on New years. Rashol , Chalal and all other areas have a little party going on of their own. Most of these are rave parties but it will be an experience in itself. Make sure you pre book your accommodation as most places will be booked already at this time. Do let us know if you need any assistance in making the bookings. I was planning this trip but not so confident about it as none of the people I am going with know about place. But after reading Your post it seems like a know the place well and can easily go. 1. What amount of budget is needed at this time? I also need a budget division right up. That how much we will have to spend where per person. Since you are going season time you should atleast keep 5 tO 6 K per person as a minimum budget. Hotels, you could book in advance but since you are going in weekdays it will not be an issue to book after reaching there as well. Also, we are also in touch with a couple of hotels there and will be happy to help you with the booking if you like. 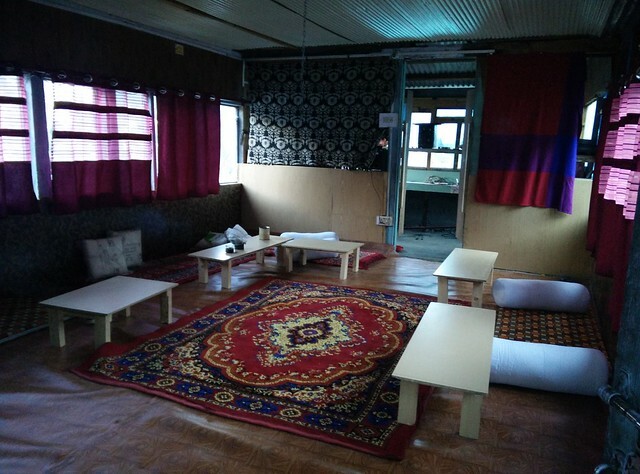 Parvinder Thakur’s Alanis Homestay is the best option if you r a hash lover… or pothead like me….For Kasol,Manikaran & Tosh I think 6000 is enough….n yes don’t miss free delicious food offered by Manikaran Gurudware….. I know i shouldnt ask this but then also can you let me know that Alcohol i s cheap here in Kasol & Manali just like Gangtok?? As for the prices, well, we really didn’t do much purchasing either so maybe you can let us know on this one once you are back from your trip. One of the best articles on Parvati Valley, that I’ve come across. You may also want to check the experiences on my blog. We would love to read your take on the destination as well. Could u please suggest me if the time is OK or. Not ? If you are ready to brave the cold, the time will be good. 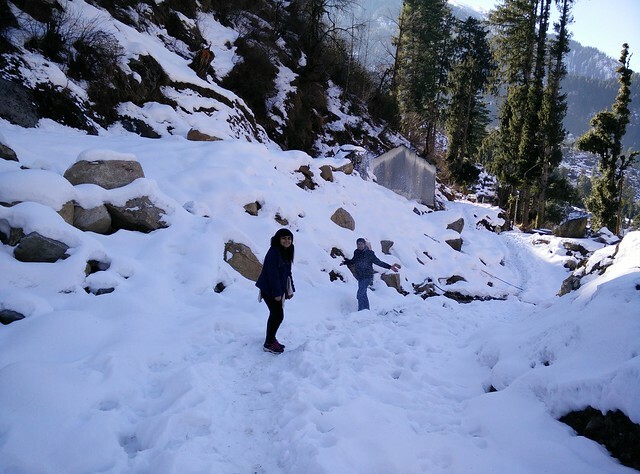 Some treks like Kheerganga, Kalga, Phulga might be shut because of the snow. But Kasol will be up and about with it’s cafes and Tosh will also be pretty. 3 Days are ok, you can cover Kasol , Manikaran and Tosh. If you want to spend more time, you could make a longer itinerary as well. I really loved your post keep writing :). I am also planning a trip with 9 others by 2 cars in March 1st week from delhi to shimla and take a halt for 3 days there and then to kasol for 7 days. 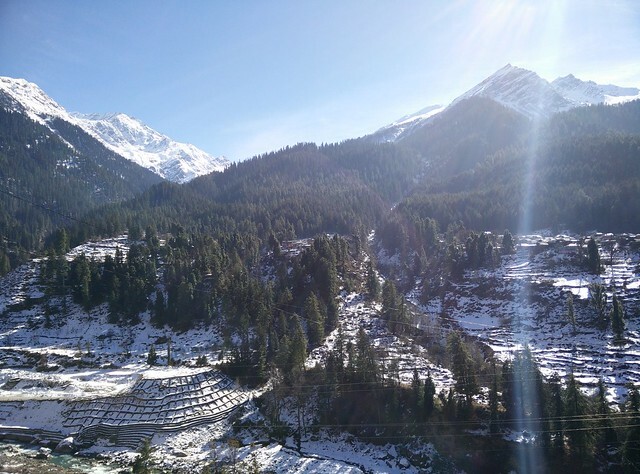 Can you suggest a proper 7 days plan in kasol with good places to eat and stay. And will I be able to see some snow during that period. 7 days is a good time period for Parvati Valley, you can explore Kasol, Chalal , Rashol, Tosh , Manikaran & Malana. 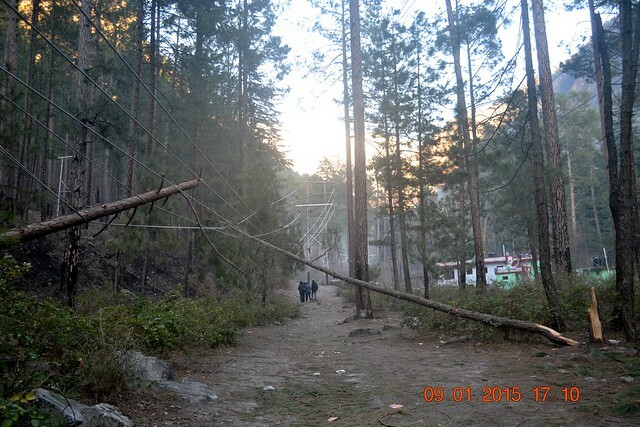 Could also check if Kalga/ Phulga & Kheerganga will be open then. 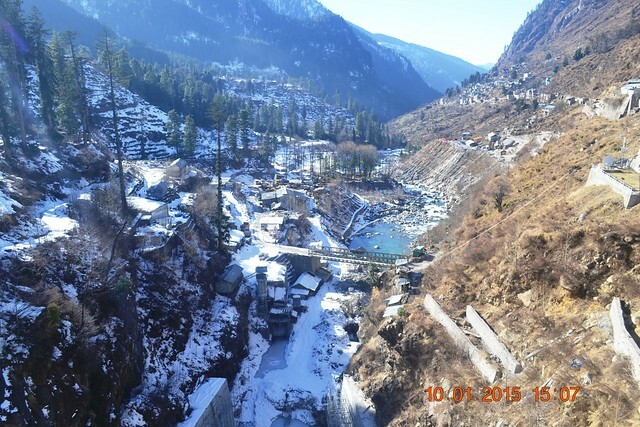 Snow , if at all, you will be able to see in these places only, Kheerganga side. Places to eat and stay, you must have already found our recommendations on the blog. Hope you have a great trip and do share your experience with us !! Feel free to connect with us for bookings or any other assistance on the trip. Hey, thanks a lot for this, I was wondering if I could go on a solo trip to Parvati Valley. This made me believe I can! As an alternative I am planning to go with a group of backpackers where the total cost for 10 days comes up to INR 12,000/- What I wanted to know is, INR 12,000 is worth it for a 10 day trip? Please help me choose among the alternatives. Thanks in advance! A solo trip to Parvati Valley will be good fun. But then again, the destination is a lot of fun with like minded people as well. The cost, I feel is ok, not a bargain though but it’s sky high either. Also, not sure what all is covered in this cost. But I feel the decision that you need to make here is whether you would like to explore the valley alone or with the company of other fellow travellers. Hope you have a great trip and do let us know in case you need our assistance in booking or anything else. Yes, October is definitely not Dull in Paravati Valley, so there will be enough people to chill with. Also, if you do travel alone and end up staying in hostel you will probably end up saving some money. But it is still not a bad deal I’d say. So figure if the co travellers are nice, then take the package and travel hassle free. Do remember to share your experience with us. This is the best blog i have read about parvati valley as i am also planning to go on christmas this year. 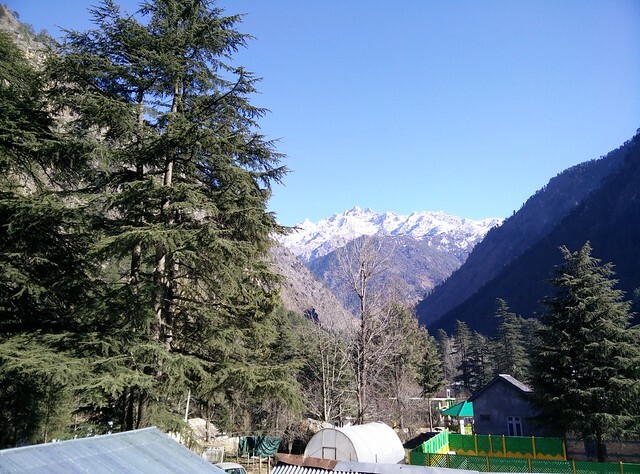 Can you please tell me what is the price of the homestay you took in kasol? Christmas time is high season and I believe the price will be at least double of what we paid. If you’d like us to help us with your bookings or need assistance with anything else, do let us know. We could get the bookings done for you, please share your exact dates and number of people. And we will share a couple of options with you from which you can choose and book. Let us know in case you need assistance on this. Also if you can tell me about the local buses there like from kasol to barsheni and local cab frm kasol to tosh etc. It would be of great help. There are local busses that ply from Kasol to Barsheni at hourly interval. From Barshani, tosh is like a 45 min walk or you can take a cab from there which is very easily available. You could ofcourse take a direct can as well from kasol to Tosh, but the frequency of the busses you do not need to go through the trouble of paying for the direct cab. How long is the trip Mukul and how will your itinerary be split ? For how many days are you planning to stay in Kasol ? Also, to quicken the process you could connect with us on watsapp at 8826454643 so that we can quickly close all your queries. We a couple are planning to make a trip to Kasol.we plan to start frm delhi on 31st dec and return on 4th jan morning.so how shud we plan our trip? What all places can we cover? And are couples welcome there? Also want to know the cost involved? Lastly, wud like ur suggestion in choosing between MAnali and kasol.is a trip to kasol more ideal for ppl in groups. And we really look forward to witness snowfall. Hence, please advice. Manali is more of a traditional holiday destination. More families and couples there , though Old manali you will find some backpacker crowd as well. 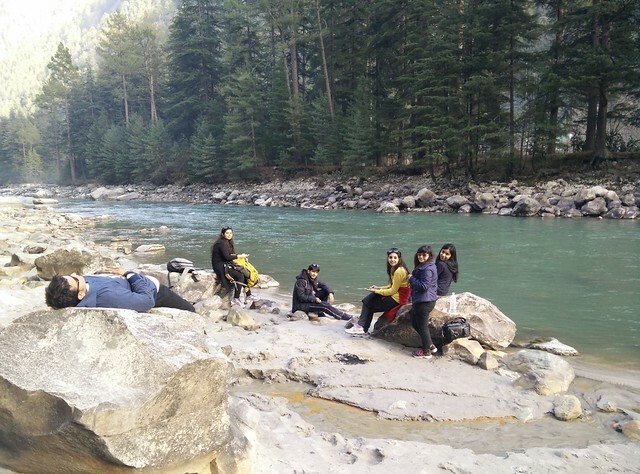 Kasol area is more for the backpacker, friends, group and solo travellers. Everyone is welcome in Kasol, you will not raise any eyebrows there if that is what you are worried about. You would essentially have three days as you will reach on 1st Morning and will have to leave by 3rd evening to reach delhi by 4th. 1st Jan : Stay in Kasol. Explore Chalal trek & spend some time in the cafe’s there. Our picks already mentioned in the blog. 2nd Jan : Travel to Tosh. Stay in Tosh. You should be able to see some snow here. Could also visit Kalga / Phukga on your way. 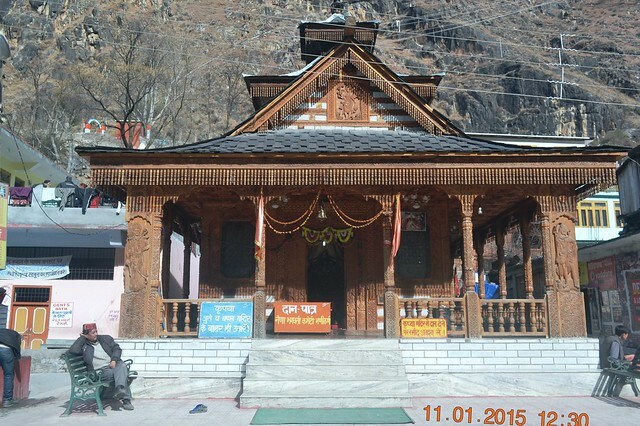 3rd Jan : Come back to Manikaran and have lunch there. The the late after noon bus to Bhuntar. Prebook your return bus in advance as sometimes the busses get occupied in Manali only as that is the starting point. Since you’re travelling at new year’s time I would suggest you to book everything in advance to avoid any issues on ground. The budget , depends on the properties , cafe’s and the transportation you select. Minimum budget you should keep in hand is INR 5000/- per person since it will be new year’s time and the rates might be running high. Hope you have a great trip and please feel free to connect with us for any other information you might require. I’ve already messaged you today. As I mentioned wanted to check if February End is a good time to plan a trip to this patch? What can we expect to do there at that time? Please help me connect with locals who could give some better insight in this! Well this the most informative and useful blog that I came across on the web. We are a group of 4, and we are wondering if we will be able to find some camps to stay near tosh or manikaran. We would be leaving chandigarh on 7th Jan 2017 Morning for Manali. And we have to be back in Chandigarh on 9th Jan 2017 till aftrenooon. We have a guest house booked in Manali, but then we are hoping for a campsite on the mountains. If you could recommend something, that would be great. Hi. very useful map and nice Blog!!! I visited Jari, Kasol and Tosh last month. Reading your trip reminded me my moments there. Loved your blog. I’m planning a solo trip, in October,to Kasol. I’ll be flying into delhi, from Pune, on the 13th and have a return ticket booked for the 21st. I have nothing but a rudimentary plan which involves four days in and around Kasol and two days in Manali. I’m visiting Parvati valley primarily to do some camping and soak in the atmosphere; I don’t smoke weed. So, I’m thinking that four days in Parvati valley might be too long. This in conjunction with the common notion that Manali is too touristy is making me second guess myself. All this confusion almost makes me want to wing it. So, I’d appreciate any help that comes my way and helps me build a rough itinerary. So if you’re interested in trekking, you could choose to do the Chanderkhani pas. This is a medium level trek and will require you to book a guide and tent for the same. You could start from Waichin side do the pas and come down from Bijli Mahadev and head to Manali if you still have time. Day 6 : Bijli Mahadev to Kullu and bus from there. The guide might suggest a different itinerary as. Per current conditions but this trek is doable. 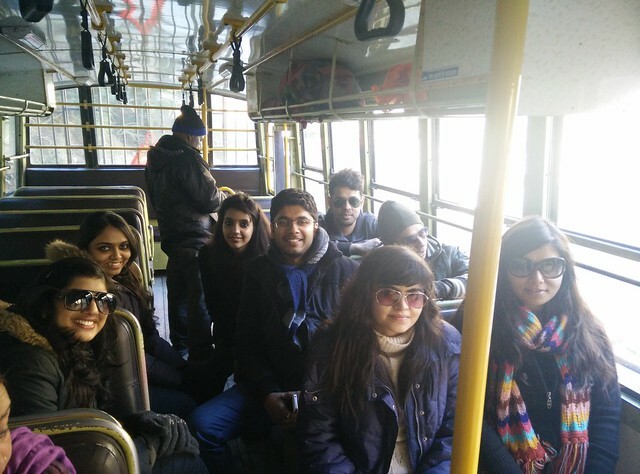 Day 5 : Take bus to Kasol. If in mood for another trek go to Rashol via Chalal. Trek for 5hours. Else take bus to Bhuntar and then to Manali. Day 6: start Back from Rashol , can stop in Chalal for lunch. Take bus from Kasol to Delhi. If in Manali, can go to Rohtang pas today and then head back for evening bus. In Manali, stay in Old Manali, Born Free hostel is a good one. Hope this is helpful. Let us know if you’d like us to connect you with some guides / stay options or anything else. Thanks for such an informative blog.one of the best that i found online. i am planning for kasol trip with a friend this nov , so we will be starting from vadodara to delhi by flight on 15 nov will reach Delhi by 7pm & have return flight from delhi on 19 nov 4 pm , could you please suggest a rough itinerary as we have very less knowledge of the same. So as per your flight schedule, you can take a late night bus on 15th for Manali. 16th morning, switch bus at Bhuntar and take the one going towards Barsheni. Get down at Kasol and you could stay either in Kasol or walk up to Chalal and stay there if you want to be closer to nature. You could do the trail from Kasol to Manikaran on 16th or walk in the Himalayan National park. For 17th , If you’re into trekking, there are two options for you. Either start your trek from Chalal and go up to Rashol. It’s a 5 hour lesser trodden trek. Not many tourists on this route. You could spend the night in Rashol. Or you could take the bus from Kasol to Barsheni and go up to Kheerganga and spend 17th night there. If you’re not into trekking then you could choose to stay in Tosh, do a couple of trails ahead of Tosh. Or spend 17th night in Phulga or Kalga. For either of these villages, take the bus from Kasol to Barsheni and from there walk to Kalga / Phulga / Tosh. Could alternatively take a cab till Tosh. 18th morning (by 1-2 max), you need to start back for Kasol since you will have to take the bus back for Delhi tonight. So ideally, if you had a little more time, it would have been better. Let me know what you decide and in case you need any other information. Hope you have a great trip . I found your blog very useful and informative. I just wanted to ask few questions as i have my own doubts. Since i am going to kasol with my friends. We are 11 people in this trip and our journey will start from Ranchi, we will leave from Ranchi on 27th Dec and will reach Delhi the next day i.e 28th by 11 am. We are planning to stay in Kasol for 4 nights 5 days i.e from 29th dec -2nd jan .Can you please suggest a nice and affordable guesthouse, homestay or hotel for our stay and also give me some information about the trekking packages and the transportation cost from Kasol. According to you what should be the money requirement per head for this trip? It would be a great help, please answer urgently. Your blog was quite informative..Thank you so much for making it easier for us to know the best places. I need your help planning out an upcoming trip to Kasol. And we want to cover these places: Kasol-Manikaran-Tosh-Kheerganga(trek)-Malana-Rasol primarily. All of us have different opinions of whether these number of days are enough or not..
Could you please help us with a tentative itinerary so that we get an idea about this? P.S. We don’t just want to be touristy and hop from one place to another. We plan to chill and relax there in between. Professional Makeup Courses In Mumbai from BHI Makeup Academy will generate a professional make up artist within you through the weeks courses. Your blog was quite insightful for a weekend trip. I have been to kasol-tosh-kutla-kheerganga couple of time. We are a group of six people and this time we are planning to explore more of malana- weichin valley – magic valley. We are planning our trip in first week of April. If you can give some insights to plan our trip better. – will 02 days be enough to complete the trek? – How will be the weather up there during Aril ? I am planning for trip of Spiti and parvati valley with other places nearby in a group of 4 adult or 2 couple. Can you suggest or share plan from your side in your free time?? wanna travel to kasol and nearby for 5 days . we will be 8 persons with four of them more than 45 years.